It’s summer, which means the kids are home all day and you’re likely looking for ways to keep them occupied without destroying the house you tirelessly keep clean. Below we’ve outlined a few fun and unique ways to keep your kids entertained and safe, and you feeling sane, all summer long. If you have little ones at home, chances are they get up early in the morning, excited and ready to go. One way to ensure that you still get your beauty rest on weekends or even lazy summer weekdays is to create a kid-friendly DIY cereal station. Use pre-portioned containers filled with their favorite cereal that they can easily grab, then put milk in a container with a spigot on a low shelf in the refrigerator. Even if you’re not the type of parent to sleep in, this is a great way to teach your kids how to be independent, and give you a little extra “me time” in the mornings. It’s important to teach your family to lather up and protect their skin against the sun, so setting up a sunscreen station will help keep the subject top of mind. You may even want to consider keeping this set up all year long. Keep a mix of aerosol, lotion, and lip sunscreen in a container near the exit, so everyone remembers to apply before they step out into the hot Southern California sun. Make sure there are enough bottles for each kid so no time is wasted before playtime begins! If you or a family member does get sunburned, be prepared by freezing aloe vera in ice cube trays for a quick and cool soothe. Encourage your family to stay hydrated by freezing fruit into ice cubes for their water. Some tasty options are lemon, lime, strawberry, blueberry, and mint. You can even freeze juice or coffee to add into your drinks and prevent them from becoming watered-down. Whether you’re drinking water, juice, or a margarita, paper cupcake baking cups are a great way to prevent insects from stealing a sip and ruining your drink. Just flip the paper cup over the top of your glass and poke a hole through. Paper baking cups are also a great way to prevent Popsicles from dripping all over your hands. Stick the bottom of the stick through the baking cup so it catches any drips before they hit your hand! Warm summer nights can be made even better with an outdoor movie. You can follow these DIY movie screen instructions to make your own, or just buy one online. Once you have a screen set up and your projector ready to go, just add lounge chairs, blankets, popcorn, and your favorite movie. 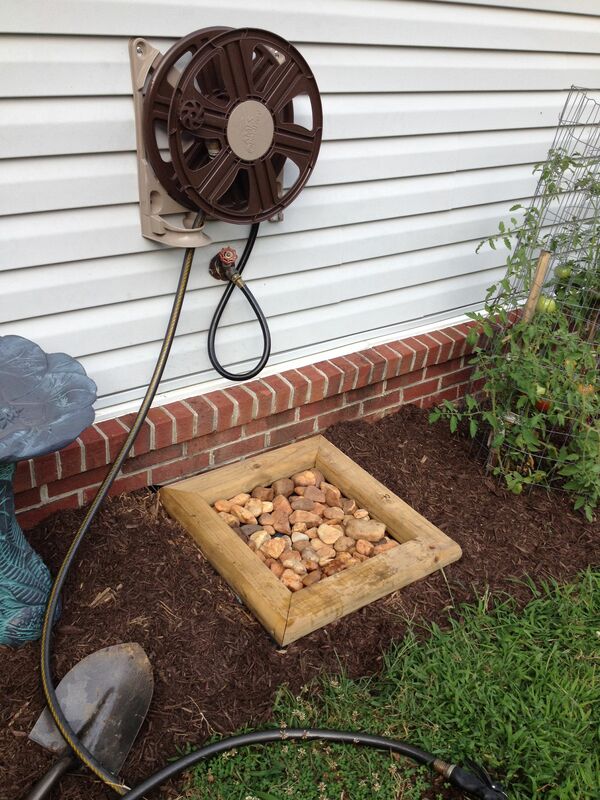 This summer, consider turning off your timed sprinklers in the backyard and creating your own, more fun version. Using a plastic bottle, tape, and hose, you can create a sprinkler that will make watering the yard a fun and rewarding experience. Remember: We’re in a drought, so don’t leave them on too long or forget to turn them off. Flies and mosquitoes hate lavender and basil, so consider planting these in your yard, or even using them as a centerpiece on your outdoor table. Both of these plants can also be used to make your own natural bug repellent.